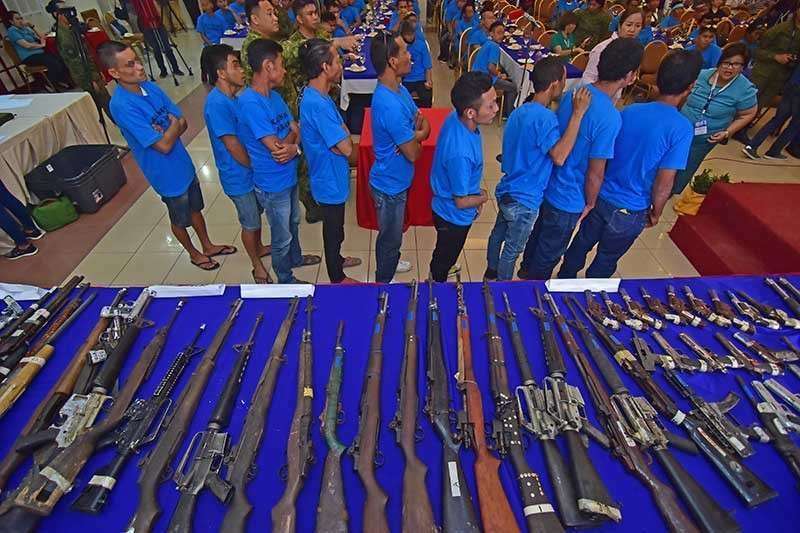 AROUND 60 former rebels are now living ordinary lives in Davao City with livelihood trainings and starter kits from the Technical Education and Skills Development Authority (Tesda) in 2018. Bayani Gofredo, Tesda provincial director for Davao del Sur and Davao City, told SunStar Davao Saturday, February 9, that they still have line-up of former rebels to be trained in various courses under Tesda for 2019. “In Davao City, we have conducted trainings in Paquibato District for automotive and construction trade. We have provided starter kits. Actually, when we had our monitoring, may mga naka-start na ng sarili nilang shops, may mga small businesses na yung iba kasi inalalayan talaga sila,” Gofredo said. “It is not only us but the Eastern Mindanao Command. They are now earning a living like ordinary people but still under supervision from the authorities,” he added. Gofredo assured that in terms of livelihood, the former rebels are now secured and starting to make a living through their own skills since they already received their National Certificate (NC) for completing a course under Tesda. He added that with the collaborative effort from the different agencies of the government, the said programs are sustainable. “Kung Tesda lang ito, walang sustainability for our beneficiaries. We need the collective effort of everybody. Convergence kasi ito,” he said. Meanwhile, Gofredo mentioned that they expect more former rebels to avail trainings under Tesda in 2019. “We are actually expecting more for 2019 bacause mandate talaga ito ni President Rodrigo Duterte, it is a priority program, itong intervention of the former rebels, also the Indigenous Peoples (IPs) and people deprived of liberty (PDL),” he said.